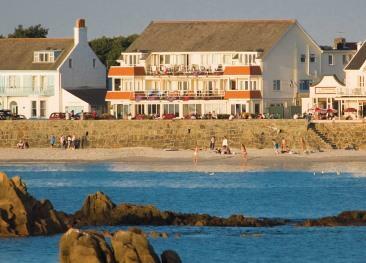 Direct flights from Liverpool make it easier than ever to enjoy a Guernsey holiday all summer. The airport offers convenient parking and a friendly terminal layout, guaranteeing you'll be through departures and whisked away to the island in what will seem like no time at all. The airport is linked to towns and cities throughout northern England via the rail network. The airport is well served by local and national buses and coaches, with regular services to Liverpool City Centre. Liverpool Airport offers a small selection of shops, including duty free, newsagents, pharmacy and fashion stores. Eating and drinking options include cafés and coffee shops, bars and restaurants serving full meals. High speed wi-fi is provided at the airport by The Cloud. Users must register a Cloud account to access the network. The airport features accessible changing rooms and toilets, blue badge parking and full terminal assistance. Those requiring assistance are encouraged to contact the airport before travelling. Long stay and short stay car parks are both close to the airport terminal building.